Washington : Rejecting Pakistani criticism of India-US nuclear deal reached during President Barack Obama''s India visit, the US has said it''s simply an understanding on implementing the stalled nuclear deal. "It''s an understanding on an administrative arrangement for implementing the US-India Civil Nuclear Cooperation Agreement," State Department spokesperson Jen Psaki told reporters Friday when asked about Islamabad''s critical comments on the deal. "There are a range of requirements in these type of deals, and certainly, we factor in a range of factors as we make them," she said when asked about Pakistan''s fears that the deal will upset the strategic balance in the region. However, she declined to share "more details to discuss publicly". 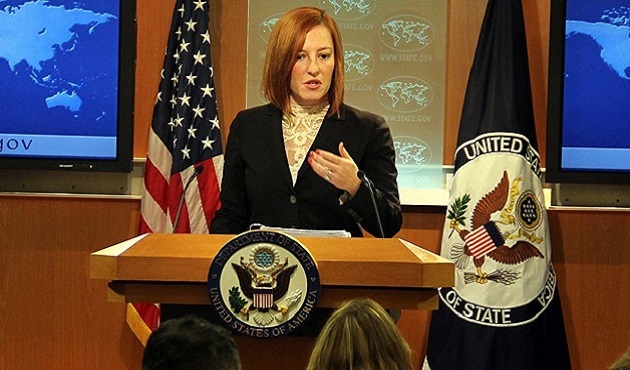 Psaki said the US had assured both India and Pakistan that its relationships with them "are strong, they''re vital to our strategic interests, and they stand on their own". "And we work with Pakistan on a range of issues. We work with India on a range of issues," she said. Referring to the nuclear deal, Psaki said: "This particular issue is one that''s been ongoing with India for some time, but we certainly have reiterated our strong commitment to our strategic relationship with Pakistan." Secretary of State John Kerry "was just there a couple of weeks ago visiting with them and reiterating our commitment", she pointed out. Asked what the US was doing to encourage India, Pakistan to resume their peace dialogue, and whether this issue was discussed during Obama''s India visit, Psaki said Kerry wasn''t on the India trip with Obama. But "we consistently encourage dialogue between India and Pakistan. And obviously, the scope and scale of the process there is up to those countries to determine".